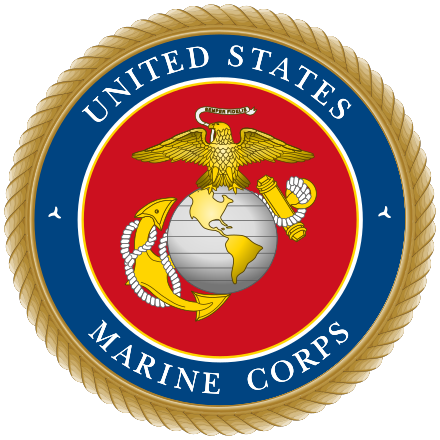 United States Marine Corps Aviation, in addition to flying units that are patterned in similar fashion to their U.S. Navy counterparts, the nomenclature "squadron" in the Marine Corps is also used to designate all battalion-equivalent, aviation support organizations. These squadrons include: wing headquarters, tactical air command, air control, air support, aviation logistics, wing support, and wing communications squadrons. In contrast to their USN counterparts, USMC flying squadrons and aviation support squadrons, while having a commanding officer (CO) at the lieutenant colonel level, will not have an equivalent rank executive officer (XO) and do not employ a "fleet up" model. USMC aviation squadron XOs are typically aeronautically designated officers in the rank of major. Also in contrast to USAF flying squadrons, most tactical sea-based and land-based U.S. Naval Aviation squadrons (USN and USMC), vice training squadrons and test and evaluation squadrons, usually do not have more than 12 aircraft authorized/assigned at any one time. Exceptions are USN helicopter mine countrmeasures squadrons (17 MH-53), USMC "composite" medium tilt-rotor squadrons assigned afloat as the Air Combat Element (ACE) of a Marine Expeditionary Unit, or MEU (12 MV-22s, 6 AH-1s, 4 CH-53s, 3 UH-1s, and 6 AV-8s). Other squadrons with a large number of Primary Aircraft Assigned (PAA) include Marine heavy helicopter squadrons (16 CH-53s), Marine light/attack helicopter squadrons (18 AH-1s and 9 UH-1s), and Marine attack squadrons (16 AV-8s). Although part of U.S. naval aviation, United States Coast Guard aviation units are centered on an air station or air facility versus a squadron or group/wing organizational structure. The one exception to this is the Coast Guard's Helicopter Interdiction Squadron (HITRON), which is engaged primarily in counter-narcotics (CN) interdiction operations. In the United States Army Aviation Branch, flying units may be organized in battalions or squadrons (the latter for air cavalry only) reporting to an aviation brigade. Aircraft maintenance activities are typically assigned to an aviation maintenance company or element in the battalion or brigade.